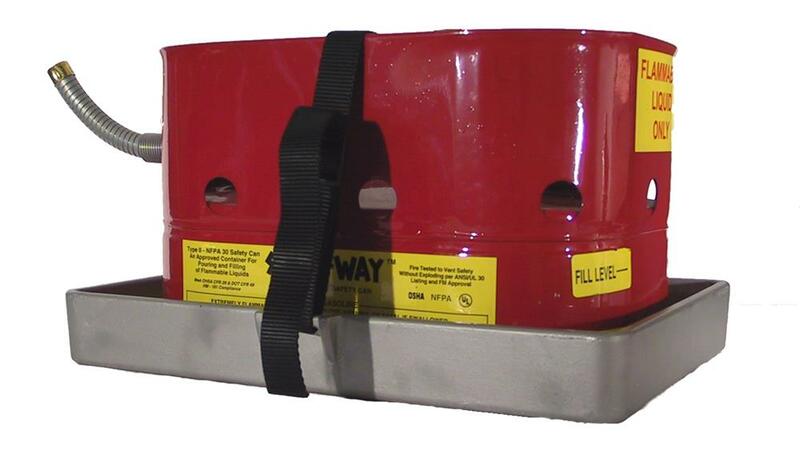 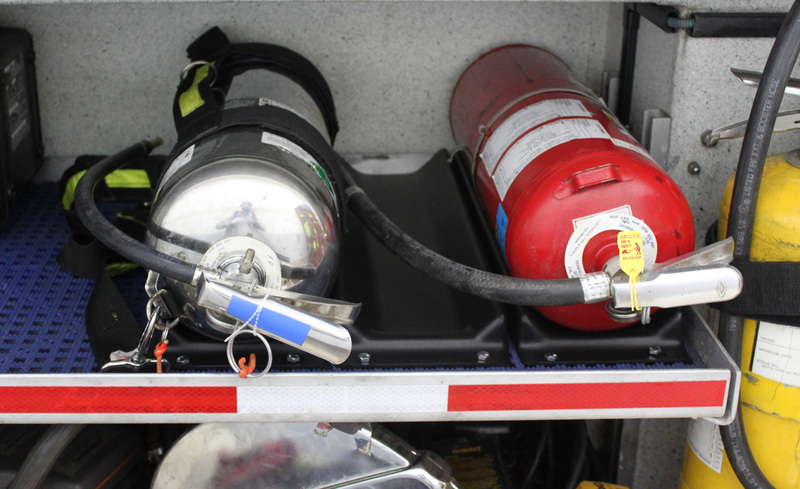 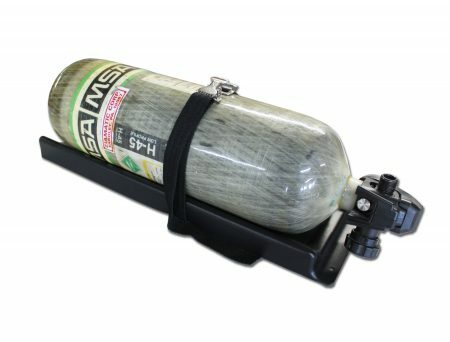 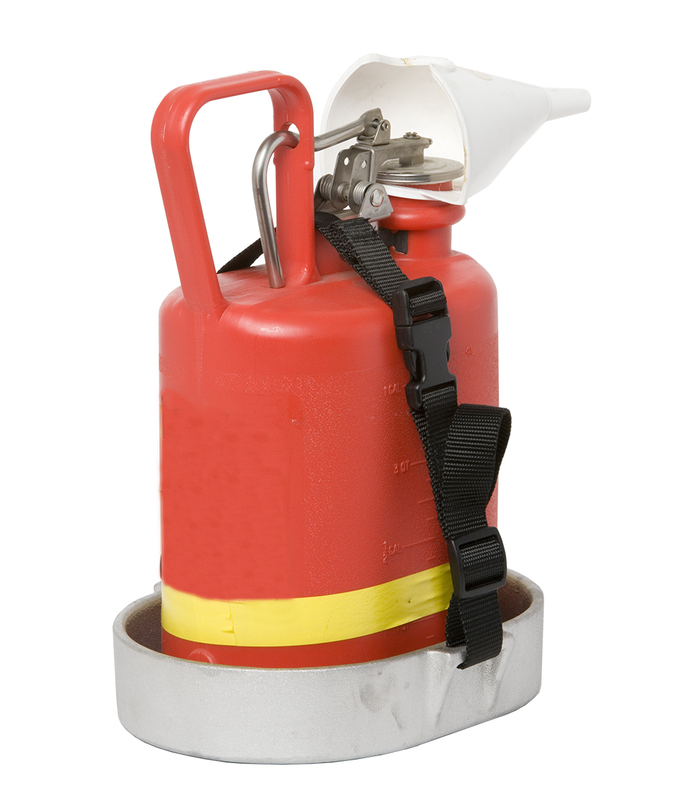 Store spare SCBA cylinders, water cans, and fire extinguishers with these heavy-duty molded-plastic cradles. 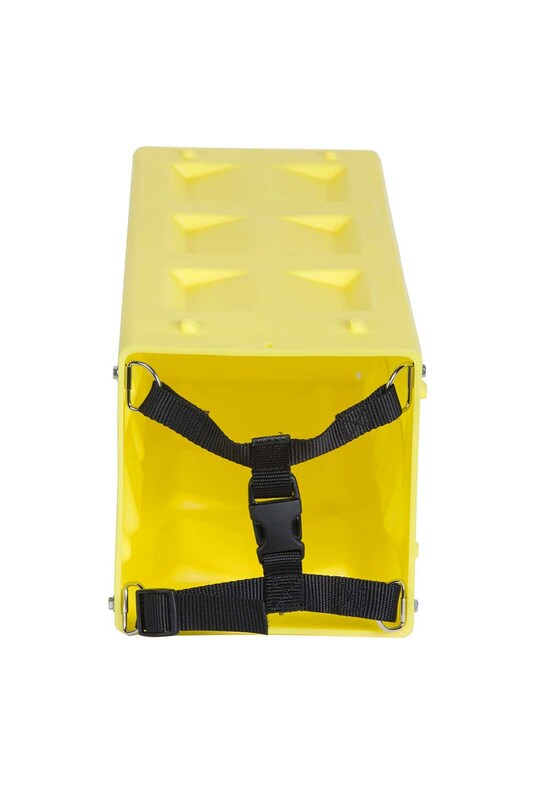 Includes one plastic cradle and tie-down strap with easy-to-release buckle. 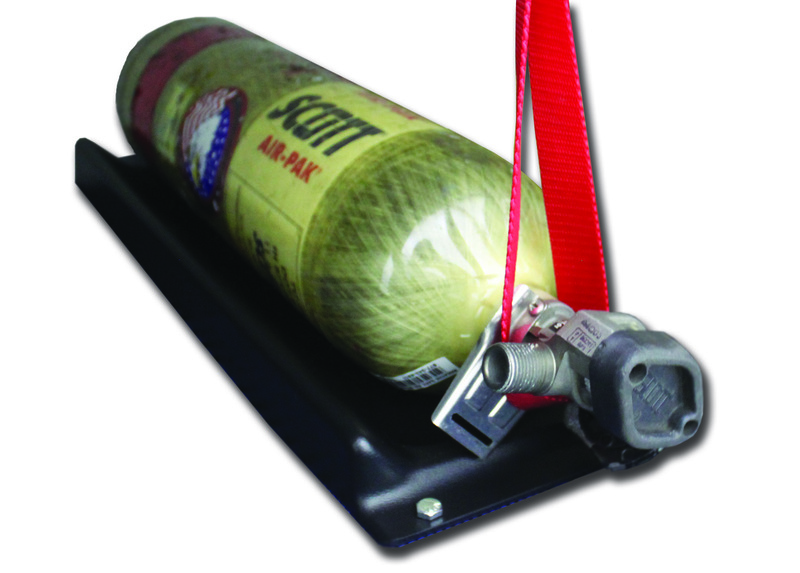 Strap loops around the cylinder and tray for added security. 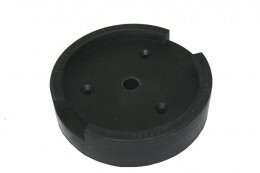 Great for shelves and side compartments. 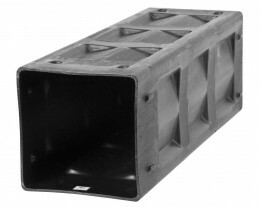 More economical than custom metal fabrication!